Every year on the weeks leading up to Lent, millions of people descend upon the northeastern Italian city of Venice where streets and cars are replaced by canals and boats. Revelers don elaborate and often creepy costumes and masks for one final party before the solemn holy season begins. The United States has Mardi Gras in New Orleans. Brazil has the world’s biggest carnival in Rio de Janeiro. 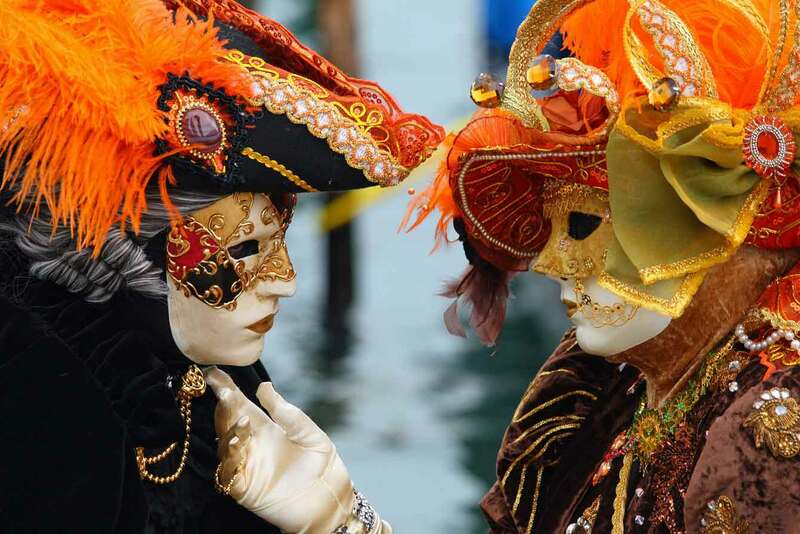 And Europe has the Carnevale of Venice in the city situated on 100 small islands in a marshy lagoon in the Adriatic Sea. It’s located at the point where the boot of Italy widens. It’s about 350 miles north of Rome. 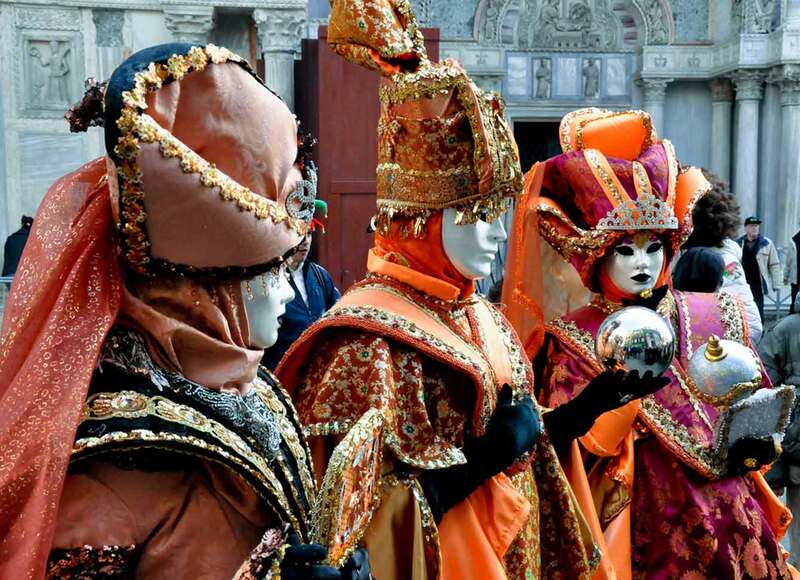 The history of the Venice carnival goes back 800 years. Started by the ruling class as a concession to the people, the carnival was for fun and merrymaking with participants wearing masks to hide – for a short time -- all traces of social and economic status. The city’s propensity for hiding behind masks was also born of the need in the overcrowded city for residents to hide while engaging in unsavory vices. In an effort to outlaw disguises for this purpose, a 13th century law prohibited masks while gambling. The city’s love of anonymity peaked in the 18th century when masks were allowed on so many holy days and holy seasons that people could spend most of the year in disguise. That all came to an end in 1797 when the French took control of the city. Masks were forbidden. The days of costumed debauchery remained little more than a memory for almost 200 years. In 1979, the party was resurrected by city officials who realized it would be a boon to tourism in Venice’s damp and quiet time of year. Booking early has many advantages. 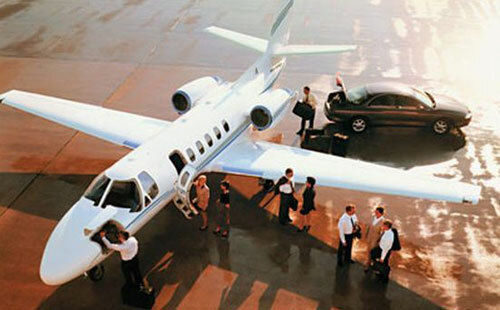 Enter a few details below to start planning your private jet flight to the Carnival of Venice. As with any weeks-long pre-Lenten festival, most of the action in Venice takes place on the two weekends preceding the Christian celebration of Lent, which is 40 days before Easter. St. Mark’s Square is the heart of the activities. It’s where costumed contestants gather. Many will pose for pictures with you. It’s also where workshops are held showing how the costumes are made. About 12 blocks west at the Teatro La Fenice, the city’s opera house, dozens of contestants in elaborate contumes compete every day for a chance to make it to the finals, the la maschera piu bella. And, five minutes the other way from St. Mark’s Square, other big events take place at the Arsenale, Venice’s historic shipyard. Street artists and bands gather. There is a kids’ carnival. It’s a place of magic and theater and pyrotechnic displays. Monied party-goers attend one of the many private parties and balls for which tickets are sold. It’s not unusual to pay $800 to get into a grand ball. If you need a break, head inland in the Veneto region to cities like Verona and Treviso where you can see parades and party at lesser carnivals. You can get away without a costume – they rent for hundreds of dollars a day – but you have to have a mask. There are plenty of mask shops in Venice but don’t expect to pay $10 or $20 for a mass-produced plastic model. Nope, these are handmade – usually of paper mache that is painted and decorated with lace and feathers and jewels -- and cost $100 and up. Why are masks so disturbing? They hide the facial expressions we all need to understand a situation. Most typical: The volto, also called the ghost mask, is often stark white or gold. It covers the whole face. The creepiest: The medico della peste (plague doctor’s mask). Modeled after the facial covering worn by physicians dealing with victims of Black Death, it has a long, hollow beak. In the 17th century, people thought foul odors spread infection. This mask was designed to hold flowers or other sweet-smelling things that would mask those odors. Most popular: Often elaborately decorated, the full-face mask doesn’t have a mouth. It has a protruding chin line below an over-prominent nose that allows for anonymity while eating and drinking – and talking. The costume that goes along with it is often a red or black cape and a three-cornered hat. On a stick: The Colombina is a half-mask that only covers the eyes and nose. The wearer holds it up to his or her face with a baton.